Through the hubbub his attention was drawn to a song on the radio which, unless his senses deceived him, had a subtle hint of harp in the mix. He attacked the volume dial, picked up his tea cup and tapped along with a Tunnock’s Caramel Wafer. 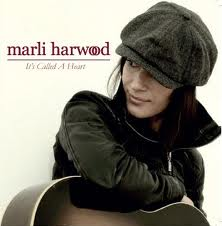 The DJ confirmed his record of the week was It’s Called A Heart by Marli Harwood. Fabulous stuff. A catchy rhythm, a great voice, a good time feel and a well mixed harmonica line. So who is Marli’s harp player? Time to investigate. Steve Brown? Rumer? Crikey. 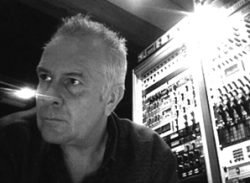 He’ll be the Steve Brown who has produced records with a shed load of megastars (including the Manic Street Preachers with whom the Doc had an indirect and brief brush recently – read track 11). And Rumer will be that lady who sounds spookily like Karen Carpenter. Top job! Now judging by comments on the web, there is already a backlash bubbling and Marli’s single hasn’t even officially been released! Some folks remember her as a contestant on TV’s Fame Academy, under her maiden name Marli Buck. She came fifth. Since then Marli has launched five albums and recorded a hundred songs, none of which received airtime. And apparently this is reason enough to knock her latest success with a welter of snide comments. Frankly, at the Harp Surgery, nobody seems to mind. Judging by the way The Doc, Otis and Monica have been merrily grooving to Marli’s new hit, the music speeks for itself. As does the harmonica. It’s all good. And by the way, while mention has been made of Rumer, we presume Steve is also responsible for the chromatic harmonica on Goodbye Girl from her current album Seasons Of My Soul? We think you’ll enjoy Marli’s new track too. You can follow her on MySpace, Facebook and Twitter.